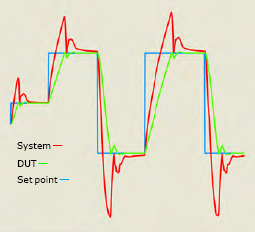 Device under test (DUT) control is a unique algorithm designed to minimize test time by controlling your device temperature at set points, even during power cycling of the DUT. It directly monitors and controls device temperature and stabilizes the DUT to within 0.1°C. DUT control is user selectable and customizable to match your thermal requirements based on mass, size, material, and heat dissipation. Read the DUT Control Application Note here. On March 22-24, 2016, Anaheim, Booth 3463, we will demonstrate a new direct-contact temperature forcing system for testing optical components and other devices. 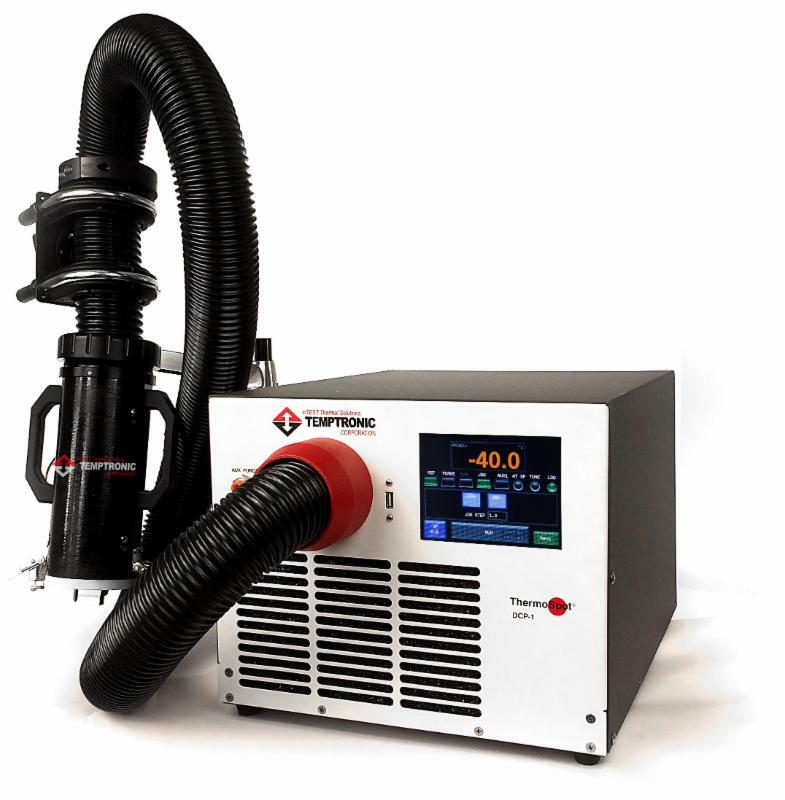 The Temptronic® ThermoSpot® bench top system consists of a highly responsive temperature forcing unit with a thermal probe designed to mate directly to the device under test. Direct contact of the thermal head to the optical device creates a highly efficient thermally conductive path to quickly induce temperatures to the device, even under power. Two models span a temperature range from -65 to 180°C, providing a capacity to cool up to 55W at -55°C. Learn about our electronics thermal conditioning with benchtop thermal test systems. Learn about RF component stress testing with high-speed thermal platforms.